"The Box" (line 23). In "The Epic Presidential Poem: The Trump Years" (epicprotestpoems.com), February 11, 2017. 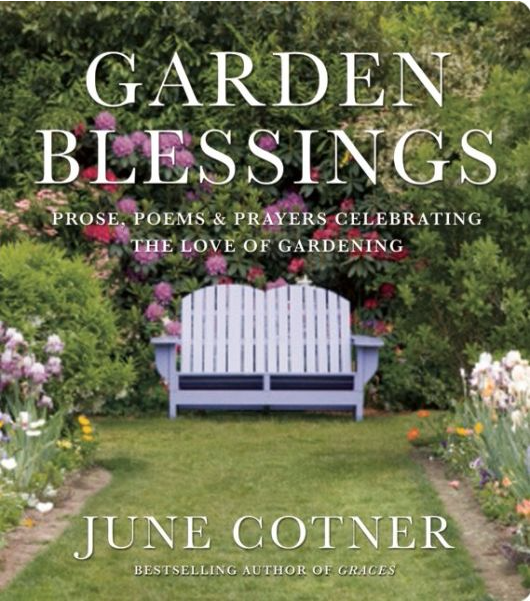 “A Gardener’s Prayer.” In Garden Blessings: Poems, Prayers, and Prose to Celebrate the Love of Gardening, edited by June Cotner. Berkeley, CA: Viva Editions, 2014, 190. “Amazon Girls.” Fickle Muses (ficklemuses.com), December 29, 2013. “And I Am Born to the Sunlit World Again.” Fickle Muses (fickle muses.com), December 29, 2013. “Daphne Unbound.” Fickle Muses (ficklemuses.com), December 29, 2013. 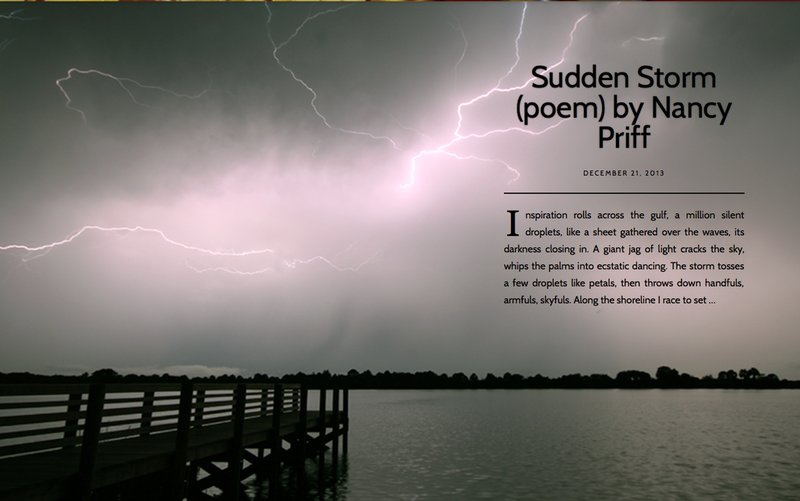 “Sudden Storm.” Referential Magazine (referentialmagazine.org), Winter 2013. “The Furies.” Referential Magazine (referentialmagazine.org), Winter 2013. “Tithonus Cries Enough.” Referential Magazine (referentialmagazine.org), Winter 2013. “Tin Can Talking.” The Whistling Fire (whistlingfire.com), July 18, 2013. “And I Am Born to the Sunlit World Again.” Glass: A Journal of Poetry (glass-poetry.com/), Vol. 6, Issue 1, June 2013. ISSN 1941-4137. “Recycling.” In Moments of the Soul, edited by Diana Christine. Langley Park, MD: Spirit First, 2010. “On the Beach.” OneFortyFiction (www.onefortyfiction.com), July 2010. “Migration.” The Artella Daily Muse (www.artellawordsandart.com/members.html), June 2007. 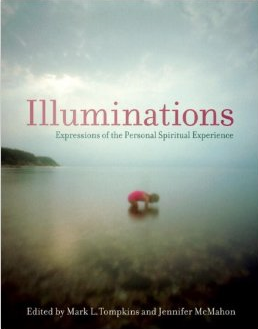 “Butterfly House.” In Illuminations: Expressions of the Personal Spiritual Experience, edited by Mark L. Tompkins and Jennifer McMahon, 94. New York, N.Y.: Celestial Arts, October 2006. “Freeze.” In Stories from Where We Live: The South Atlantic Coast and Piedmont, edited by Sara St. Antoine, 127-128. Cambridge, Mass. : Milkweed Editions, July 2006. “Daphne Unbound.” Kaleidowhirl, Vol. 3, Issue 2, Spring 2006. “The Magician’s Daughter.” (prose poem). Triplopia, Vol. IV, Issue 2, Spring 2005. “Visionary at the Reading.” JAW Magazine, Spring 2005, 5. “Marks of a True Home” and “More Than Bricks and Wood.” In House Blessings, edited by June Cotner, 10, 131. Paulsbo, Wash.: Cotner Ink, June 2004. 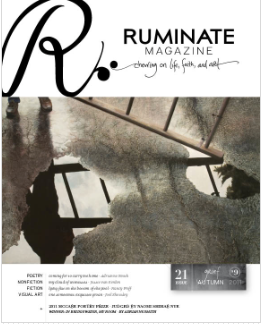 “Woman Underwater.” Ruminate Magazine, Issue 21, Autumn 2011, 21-25. “Things Not to Do.” In Dan River Anthology 2004, edited by Robert W. Olmsted, 116-119. Thomaston, Maine, December 2003. “Cranberry Love.” Jerseyworks: Arts and Ideas Online (www.jerseyworks.com), March, 2003. “Hecuba’s Dream.” The Copperfield Review (www.copperfieldreview.com), Winter 2003. “Of Clams and Men.” Jerseyworks: Arts and Ideas Online (www.jerseyworks.com), July, 2002. “Recurrences in Book-Length Fiction: Connecting the Seemingly Unconnected.” The Writer’s Chronicle, Vol. 41, No. 6, May/Summer 2009. “B-mother: A Review.” In The Literary Review, Winter 2008.